As research in equine-assisted activities and therapies (EAAT) continues to grow and rise in importance in the EAAT field, PATH Intl. is pleased to announce the creation of a Community Connections group as a new resource to foster interaction and communication among researchers and others interested in research. The PATH Intl. Community Connections Research group will be open and accessible to both PATH Intl. members and non-members. Click here to access the community connections research group; and click here to read the recently board of trustees approved PATH Intl. position statement on research. PATH Intl. members can simply click the "join group" button to interact with others in the group. If you are not a PATH Intl. member, please email Karen Province with your request to be added to the research community. PATH Intl. 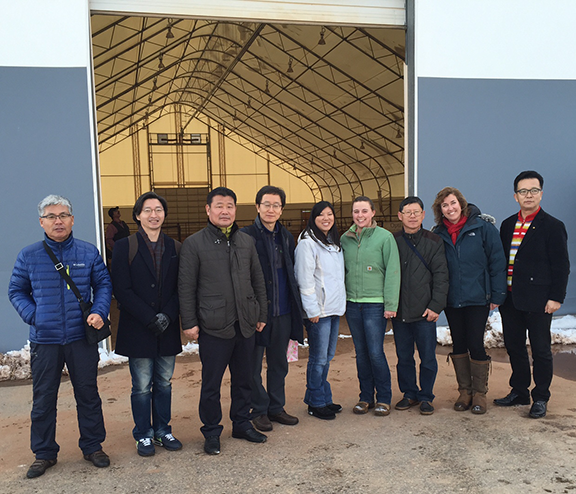 recently hosted a government delegation from South Korea to explore expanding therapeutic riding in South Korea and forming a closer relationship with PATH Intl. 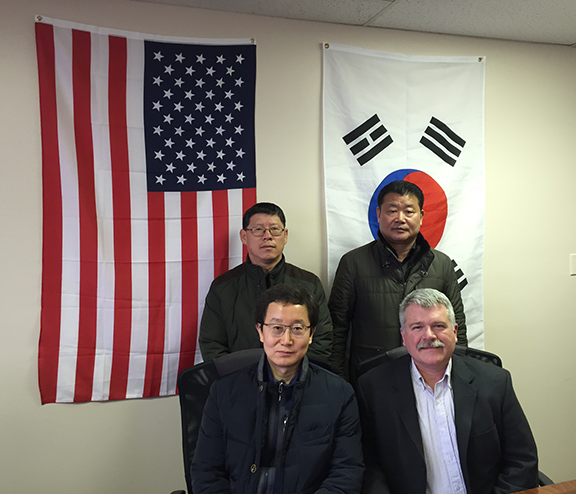 Six delegates visited Hearts and Horses, Inc., a PATH Intl. Premier Accredited Center in Loveland, CO, and The Right Step, Inc., a PATH Intl. PAC in Littleton, CO, in addition to the PATH Intl. office. PATH Intl. has more international members in South Korea than any other country, and it includes a Premier Accredited Center. Our thanks to the staffs of Hearts and Horses and The Right Step for opening their facilities to these guests over the weekend. We at Professional Association of Therapeutic Horsemanship International (PATH Intl.) know that our current members are the best possible source for new members who could benefit from all PATH Intl. has to offer. Last year, Susan Lutz from region 5 was the grand prize winner. Deana Hamel from region 6 was the 2nd prize winner. Jan Pollema from region 10 won the drawing. At this time PATH Intl. is conducting a call for papers for the following regions. Presentations vary and may include, but are not limited to, riding instruction, hippotherapy, equine-facilitated mental health, driving, vaulting and administration. Conference abstracts can be of a practical nature and do not need to be based on research. Click on the conference title to begin the abstract process. If you have items to donate for the region conference silent auctions please bring them with you to the conference. Any revenue generated helps offset region conference expenses, which helps to keep registration fees down. If you have questions contact Amanda Walters, ext. 105. Abstracts for the 2015 PATH Intl. 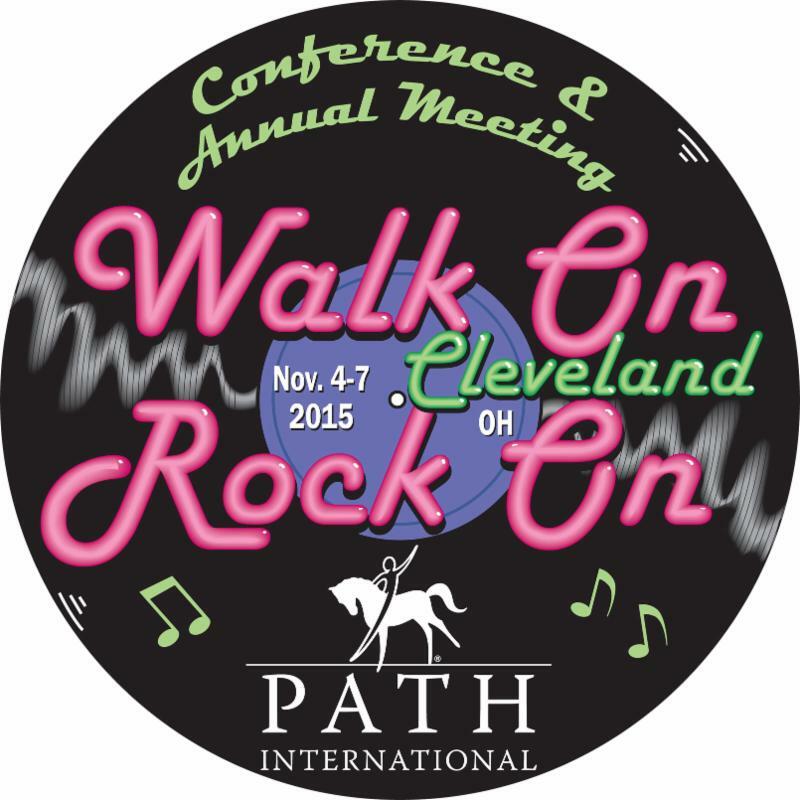 Conference and Annual Meeting must be submitted to PATH Intl. by March 14, 2015. No submissions will be accepted after March 14. Abstract submission will be handled electronically only. The 2015 PATH Intl. Conference is November 4-7, 2015, in Cleveland, OH. You are invited to submit an abstract highlighting your organization's innovations or personal research and how they may benefit the equine-assisted activities and therapies field. New this year, the conference will include a poster session. Presenters may submit an abstract for the poster session by following the same directions as for the traditional classroom presentation. Click here to download additional information on poster sessions. Couldn't attend the PATH Intl. Conference in San Diego but would still love to learn from the assembled industry experts? 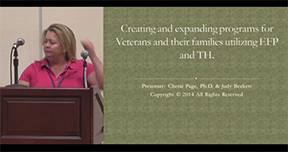 Approximately 30 conference education sessions and Community Connections Day presentations were recorded in order to make these wonderful presentations available to all members. A selection of these session videos is now available for purchase. Browse the videos here. Each video purchased may be used as one hour of continuing education for PATH Intl. Certified Professionals on their instructor compliance report. The PATH Intl. Equine Welfare Committee is making a commitment to refine and deepen our perspective of equine well-being to include the physical, mental and emotional well-being of our wonderful four-legged partners. Join us on this journey. Please add your thoughts on PATH Intl. Community Connections page. It is our desire that these tips start a further discussion on Community Connections. Any thoughts? We appreciate hearing from you! The deadline to renew your center membership was December 31, 2014. Renew as soon as possible in order to avoid a lapse in your membership. You must include a $50 late fee with your renewal. Of course, if you prefer to send in a hard copy renewal, that is still an option. Download and complete the center renewal booklet and renewal invoice, and mail it in. Click here to download the center renewal booklet. PATH Intl. now has a recorded version of the Equine Welfare Best Practices webinar, presented by Cathy Languerand, Chair of the PATH Intl. Equine Welfare Committee. Click here for the PATH Intl. members only page. You must be logged in as a PATH Intl. member to access the webinar. Congratulations to these PATH Intl. Premier Accredited Centers for recent mentions in the media. Rainier Therapeutic Riding in Yelm, WA, was featured in the March issue of Western Horseman. VFW Magazine features BraveHearts Therapeutic Riding & Educational Center in Harvard, IL, in its March issue. Patti Lessard, the director of operations and programming at Strongwater Farm Therapeutic Equestrian Center, Inc., in Tewksbury, MA, was featured in an article in the lowellsun about her recent trip to Azerbaijan to develop sports awareness for the disabled. The center was also featured in ACTHA Monthly magazine. Hope Reins at Marcody Ranch in New Smyrna Beach, FL, was featured in a Woman's World story on the healing that is possible through partnering with equines. The magazine is on newsstands now. Pete, the 2014 PATH Intl. Equine of the Year from DreamPower Horsemanship, a PATH Intl. Premier Accredited Center in Gilroy, CA, has been living the life of fame. He was inducted into the United States Equestrian Federation/EQUUS Foundation Horse Stars Hall of Fame on February 20. DreamPower also hosted a Hall of Fame Party for Pete. 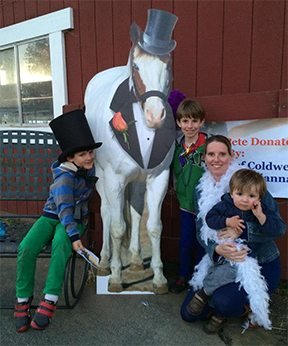 About 115 people from DreamPower gathered in a barn belonging to a volunteer, where those gathered celebrated Pete and danced the night away. Click here to see pictures from this fun celebration. Congratulations to Sir Rocco (Bud) for being named the SmartPak Horse of the Month for February. Bud makes his home at Hearts and Horses, Inc., a PATH Intl. Premier Accredited Center in Loveland, CO. Bud will receive one month of SmartSupplements in SmartPaks for being an awesome equine. Click here to read Bud's story. SmartPak is looking to choose the next Horse of the Month, which will receive $100 of SmartPak products for a month. Nominate your horse for a chance to win. Photos are highly encouraged!